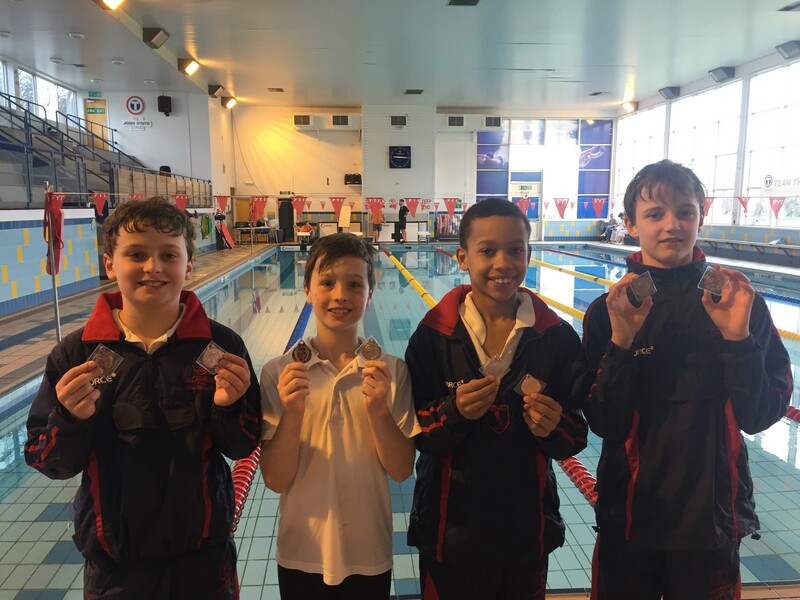 A team of U11 swimmers (Hector Mac, Robert K, Tiger B & Alex Y) competed in the Kent Schools’ Swimming Championships on Saturday 9 March in Margate. This competition takes place annually and is made up of both individual and relay team races and is open to both independent and state school children. Alex secured a 13th place in the 50 metres butterfly; Hector 11th place in the 50 metres breaststroke; Robert 9th in the 50 metres freestyle and Tiger 6th place in the 50 metres backstroke. All the boys competed in the freestyle and medley relays securing a great 3rd place in both races. This has qualified the boys for the South-East Regional Championships at the Spectrum Centre in Guildford on 11 May which is a fantastic achievement!